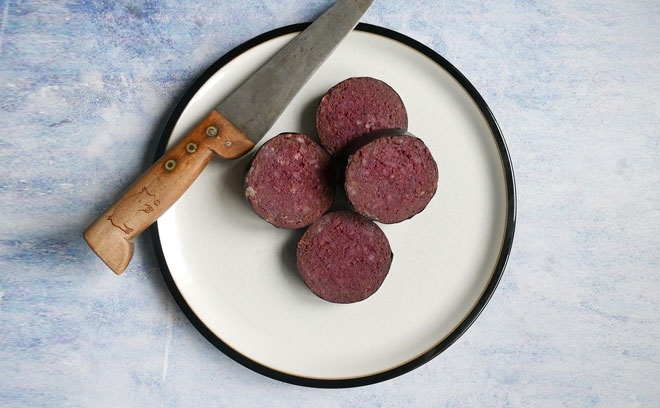 We make black pudding, that's probably why you're reading this. 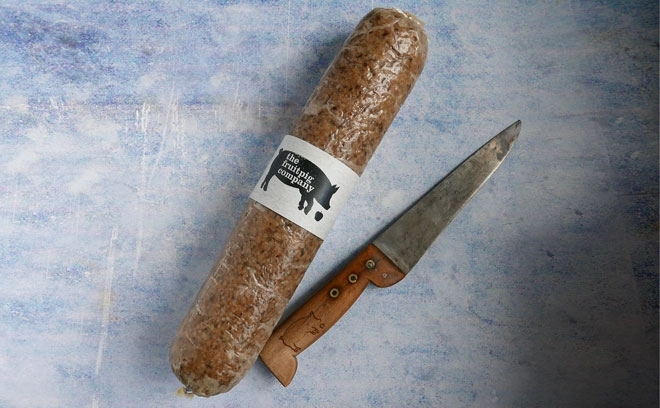 We make ours with fresh blood which we collect ourselves from our local village abbatoirs we work in; we are slaughtermen as well as butchers. 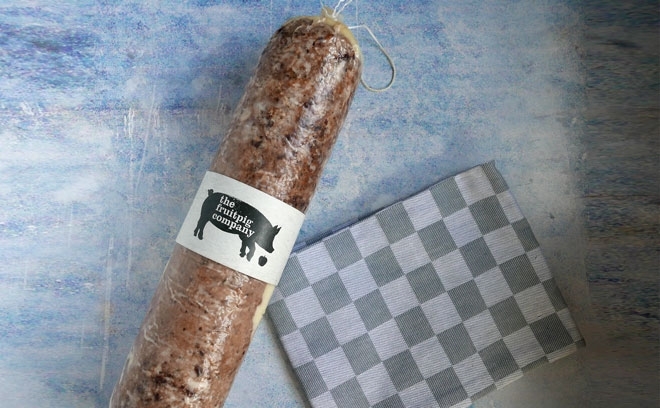 We think we're the only company doing this in the UK. 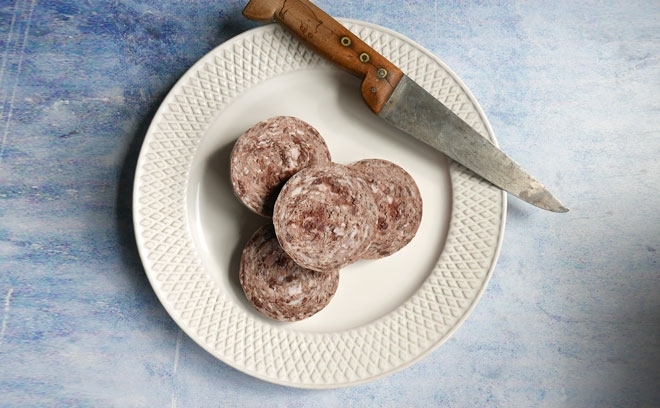 Fresh, real blood pudding is so rare most fans have never eaten it. 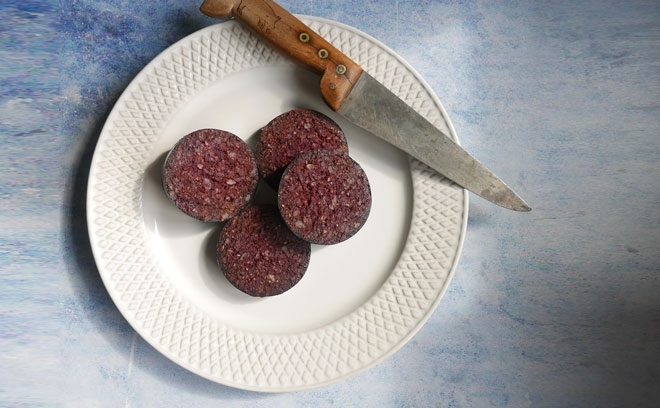 None of the major, household names in black pudding make theirs with fresh blood any more; theirs is made using imported dried blood powder. 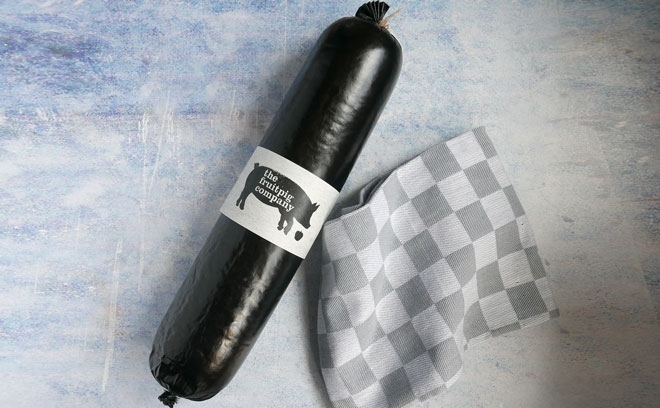 Please read our FAQs for more information. 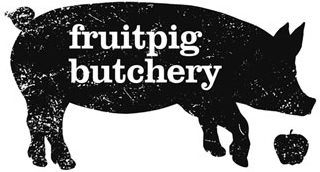 Discover more about Fruit Pig's passion for puddings, and try our white pudding, brunch slice and haggis. 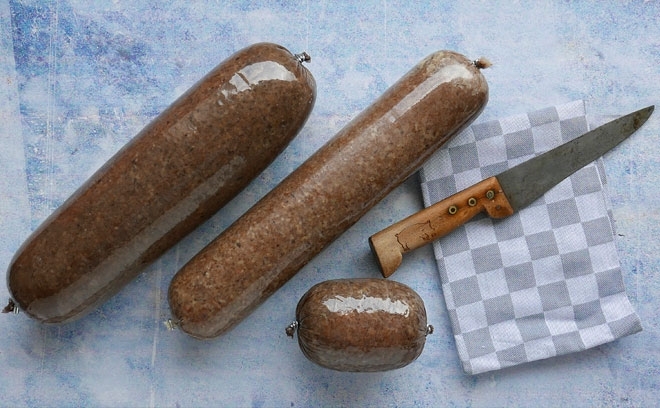 Hearty, traditional Fruit Pig Haggis - not just for Burns Night! 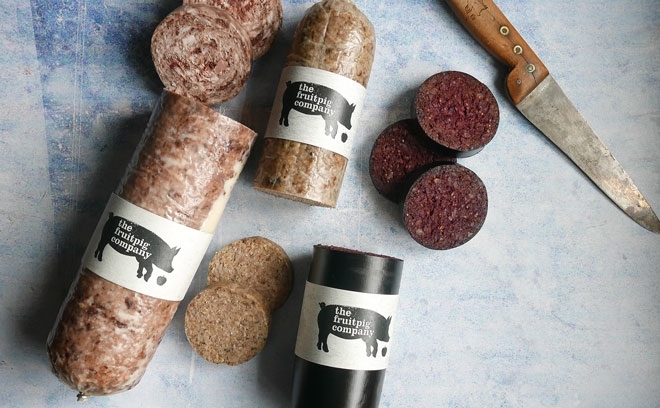 Convenient packs of our black pudding, white pudding and brunch slice. 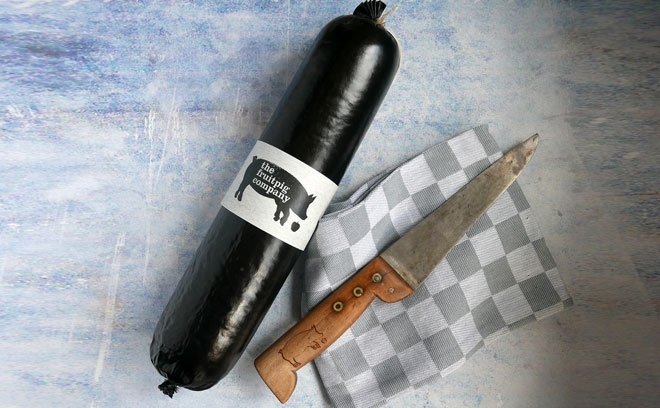 Our classic sausage, cold smoked bacon and our black pudding in one large, delicious stick. 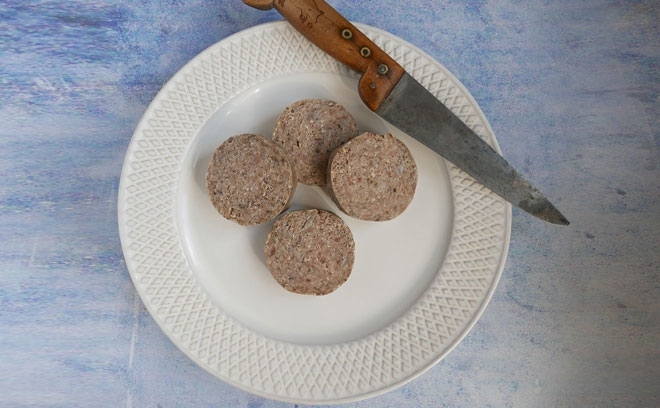 Fully flavoured, our white pudding is a take on a Hogs Pudding.